Bill McQuarrie adjusts to the tough life of retirement. PORT McNEILL – It’s been awhile since we last chatted. Something like four months since I dashed out of town on what seemed like an errand to Vancouver Island but ended up staying there. You see, we came across this small town at the northern limits of the Island. Population is somewhere in the neighbourhood of 2,500, give or take two or three people and it is a place where most doors remain unlocked and kids still walk to school unaccompanied. That’s not to say you don’t have the quintessential big brother, charged with the responsibility of walking with and getting his younger sister to school on time. You can tell they’re family as he walks a couple of steps in front in an attempt to convince passers-by that he doesn’t know her or have anything to do with her. Very Norman Rockwell and it can’t help but bring a smile to your face. Adding insult to injury, it is pretty much impossible to skip those responsibilities let alone a class without someone who knows or works with your parents spotting your break for freedom. We arrived here during the run-up to the October municipal elections and I couldn’t resist old habits and had to attend the all-candidates forum. The issues of taxation and economic development were familiar and the auditorium was packed. However, it felt more like a family gathering where concerns and ideas were talked about in ways more familiar to dining room table political conversations than a candidates forum. There are no parking meters in town, so there was no need to debate increased rates. There is no bylaw officer, so no need to complain about over zealous enforcement. There is no part of town where people claim they are being ignored at the expense of another part. There is a small performing arts centre (a converted theatre), so no need to debate or consider a referendum. And parking is free at the small hospital, so no placard-waving protesters demanding meters be removed. There are four full time doctors in town along with a rotating family practice residency, so there is no recruitment campaign and you have a family doctor as soon as you arrive in town. Wait time in emergency is measured in minutes instead of hours. And people still open doors for you and say hello and thank you and ask about the kids. For a writer and political junkie, it is a place to seriously consider a new line of work. Yes, there are problems, mostly related to economic development. It is a resource based town where the need to diversify is recognized but the tools and experience to do so are in short supply. There are no lumber or pulp mills left on Northern Vancouver Island but logging continues to be the primary economic driver, with raw logs shipped south. Mining has also played a big role in this area, although lately it has contributed little to the local economy. But the people here are resilient and I suspect that irrepressible spirit will prevail. Housing prices are anywhere from half to two thirds of what they are in Kamloops but before you list your home and move here, you better make sure you like rain or better yet, love rain. During the winter months, it is wet and windy here. Having lived in Vancouver for nearly 25 years, I readapted quite quickly but if you are not an experienced coastal person, it will take some getting use to. However, small town life here is worth the winter storms. It’s like a time machine that takes you back to another era but keeps all the necessary modern conveniences. Fibre optic networks allow you to work with anyone and anywhere in the world without leaving home. And even scheduled air service to Vancouver is available on a daily basis as are most other urban conveniences. For lifestyle, Cape Scott and the west coast are about the same distance as Vernon is from Kamloops, which opens the door to unlimited recreational opportunities. So this is why you haven’t seen me around Kamloops or here on Armchair Mayor for the past little while. However, now that I’m settled, I’m hopeful we can stay in touch, maybe not every week but every so often. After all, I still haven’t told you how we trap Dungeness crab for a fresh seafood dinner. 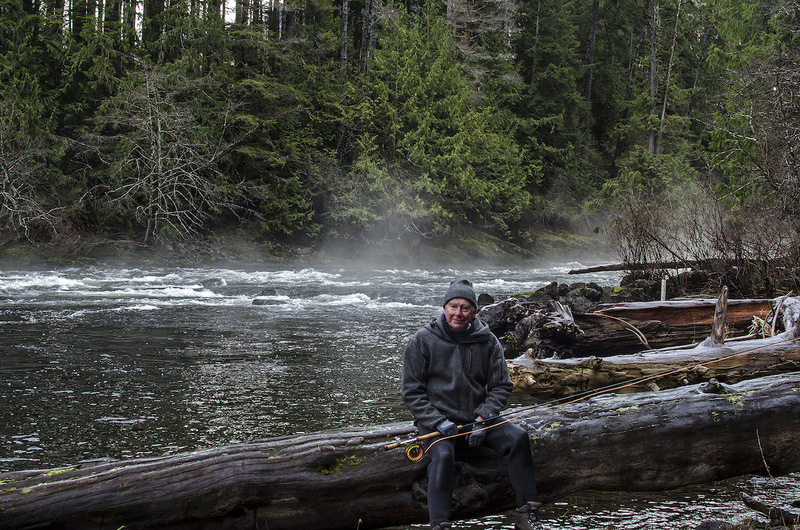 Or fly fish for wild steelhead. Or walk the long sandy beaches on the west side of the Island. And maybe once in a while, make the occasional comment on politics, as political life here is totally opposite to Kamloops. 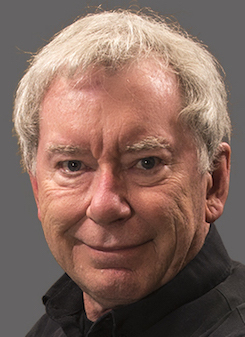 Bill McQuarrie is a former Kamloops resident and former regular columnist on ArmchairMayor.ca. I understood every sentiment in your column, I worked at the Alert Bay Hospital for a time and loved every moment, even the rain, loved the fact that to go anywhere from Alert Bay it meant either a short hop in a sea plane or a water taxi, we often took water taxi’s to dances in other small communities on the mainland, meaning Vancouver Island. Great good luck with your new life, you aren’t missing a thing here.Same old same old. I finally made a start writing that book but need to set aside some more time in the next few weeks to go through the collected material and photographs to draw up a plan for chapters and titles. I am thinking it will end up having to be a (fictional) novel because I can’t imagine anyone ever believing this stuff actually happened!